We all slept so well last night - I don't think Kouta moved at all, didn't hear anyone go out in the night to the toilet! It was a quiet camp spot last night - even the hum of the water pump didn't keep us awake and there wasn't any noise from any other camper - I think because there are so many of them it is frowned upon if you are blaring music at 3am in the morning and I would imagine alot would say something! So we started early as todays temperature is to reach the mid 30's. For most of the day every beach that was on the Victorian side had a camper or campers on it - it was crowded, a few would be leaving today to return to work tomorrow but there are quite a few grey nomads that will stay put. 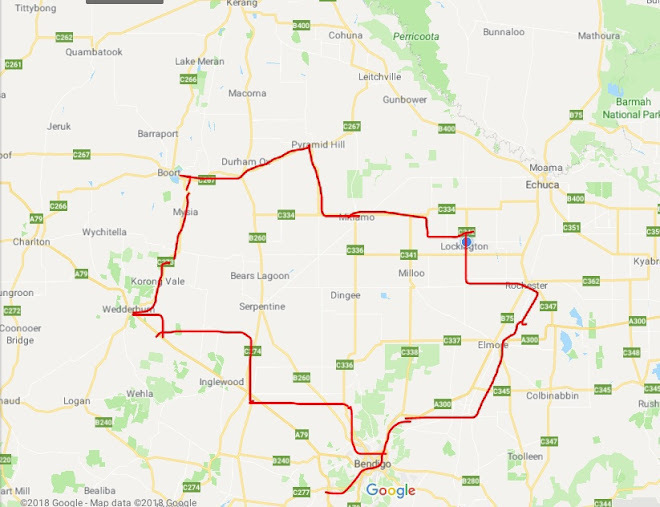 So the arms are a little weary this morning and we need to do at least 30km to make the day into Cobram (tomorrow) about the same. 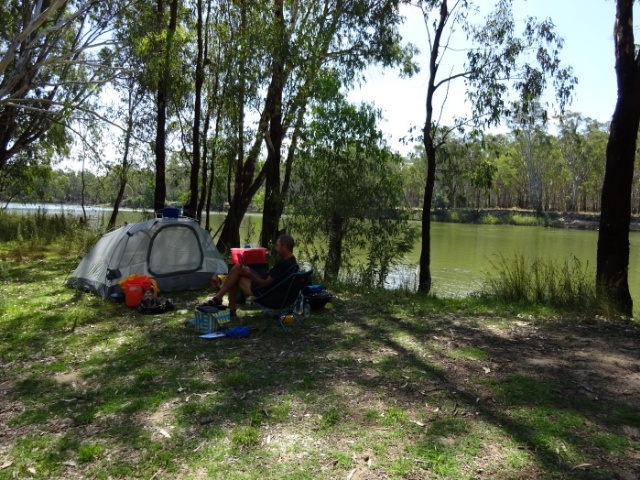 We all know that camping on the NSW side is a big no no and should only be done in absolute desperation ... except when there is a state park and this was the case from around 1976 to around 1958 - the beaches are the best places to camp - everything else is really wild. 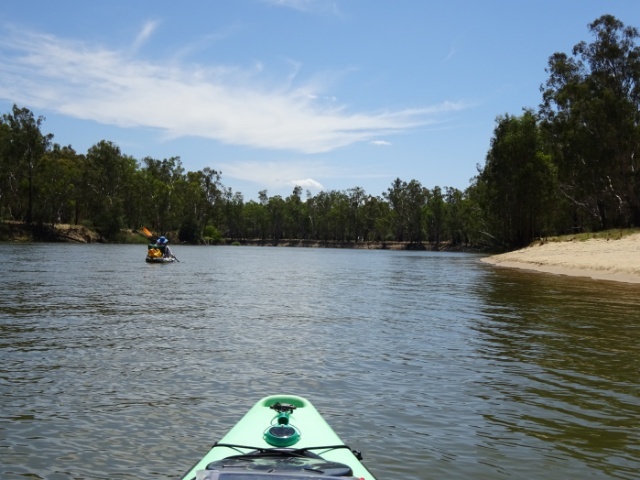 There seems to be 2 state parks side by side - Mulwala state forest and then Boomanoomana (try saying that!) state forest. 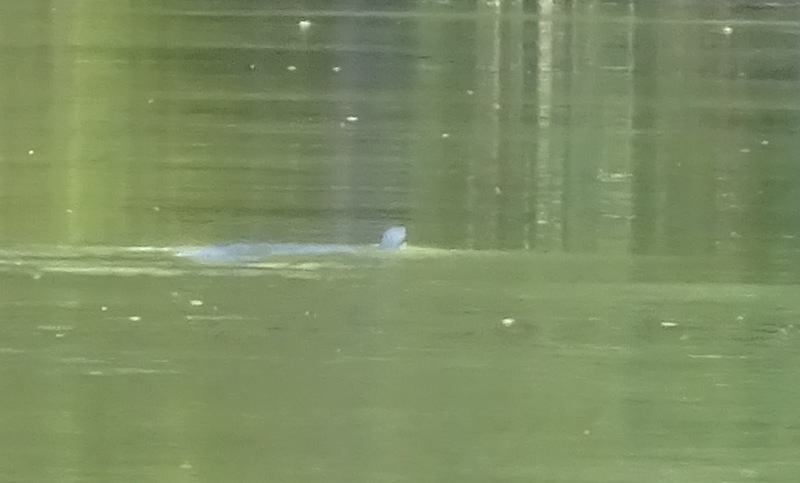 Paddling along today we came across something drifting in front of us - Leanne you are going to love this - can you see something in the photo below? Yep it is a snake and it was going from Victoria to NSW - Neil saw a stick in the river that was going across which can only mean one thing (as a stick should be going with the river not across it) a snake! It was a good swimmer too! A few boats on the river - but no where near as much as yesterday and they were going alot slower due to snags, but most were camped out on the beaches and alot were families with kids. 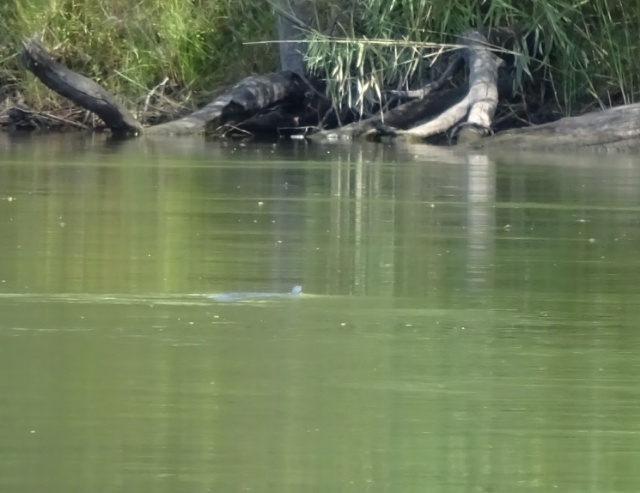 The river is quite wide and so the flow is slow but enough so you can drift. At around 30km we started to look for a camp spot - the shoulders were tired and as per usual plenty of spots but most had campers still packing up or a grey nomad that was staying, in desperation we did consider NSW but decided that we would go for the big beach around the 1941 mark - we did on the way find 1 spot but upon investigation it wasn't great and as per usual someone had left behind their rubblish and broken camping stuff - I don't get it you have a damn car how hard is it to put it in there and take it home with you! We find this a lot and it is disappointing to say the least! and it is a good spot - there is a drive into it so it must branch of the dirt road that follows the river but it is quite a rough drive so only a 4WD or hoon driver/camper would get in and technically they will be at home this afternoon and work tomorrow so we pitched our tent up and enjoyed a well earned dip in the river! 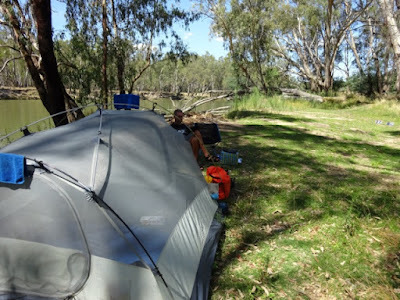 Tomorrow we make Cobram - around 27km give or take.